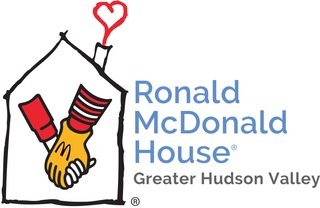 Join us at the 4th Annual Dylan J. Hoffman Walk & Family Fun Day to benefit the Ronald McDonald House of the Greater Hudson Valley. Help us make a difference in the lives of families with critically ill children from the Hudson Valley & beyond. The Walk will be led by 6-year old Grand Marshall Liam Flanagan of Wingdale, NY in Dutchess County. Participants will leisurely stroll around the Oval on the campus of the Westchester Medical Center. The event will be held Rain or Shine. After the walk, enjoy fun family activities including Wacky Inflatables Bounce Houses, the Bubble Bus, BASF Kids Slime Lab, Teatown Lake Reservation Birds of Prey, Music by DJ Johnny G, Sparklicious, Face Painting by Krisztina and more. Stay for the BBQ by the Yonkers Fire Department! Through individual, corporate and foundation support, your group can help us continue to impact many more lives. Please review the sponsorship opportunities for this year's walk and select a level which allows your group to help and participate. Dylan lived a short life, but his memory and spirit are alive and well. This event, hosted by the House in conjunction with the Hoffman Family, allows us to celebrate his life and the thousands of families who have stayed with us since our inception. Liam was born June 21, 2012 and now 6 years later, he is a healthy growing boy starting 1st grade. His family says "we couldn’t be more appreciative of everything that the doctors and nurses at Maria Ferrari and everyone at Ronald McDonald House did for our family during his first three weeks of life. We thank God every day for the gift of Liam, Ronald McDonald House, and for the people that have helped him and our family along the way." Thank you for your support and we look forward to sharing this special day with you! Walk around the Westchester Medical Center campus in honor of Dylan Hoffman and in support of the Ronald McDonald House. After, enjoy the family fun activities and stay for the BBQ!